Regardless of what brings you to the Holiday Inn, your room is your personal retreat. The standard is comfort with luxurious bedding, modern décor and all the cable, sports and movie channels you need. The Holiday Inn is a favorite for both business and leisure visitors to Covington and we want to become your favorite too. 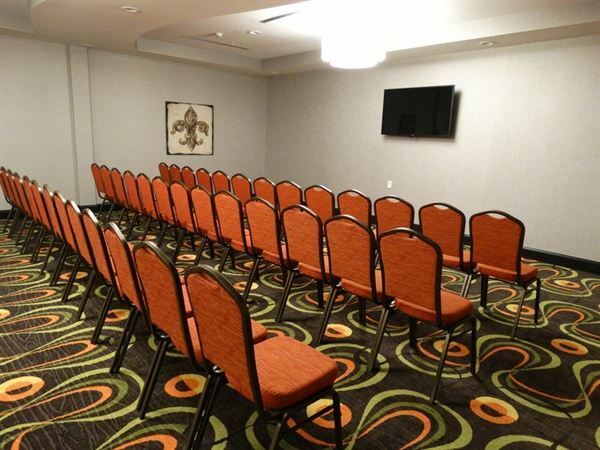 Located just moments from Covington’s Northpark Business Center, minutes from Historic Downtown Covington and only 35 miles from New Orleans, the Holiday Inn is your best choice in Covington.